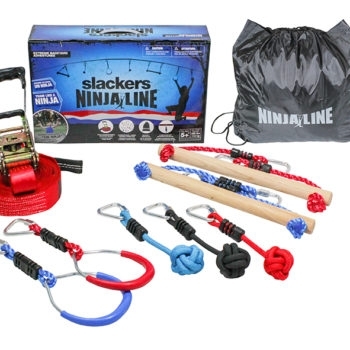 Train like a Ninja with the patented Slackers Ninjaline™ 36' Intro Kit, with seven hanging obstacles. 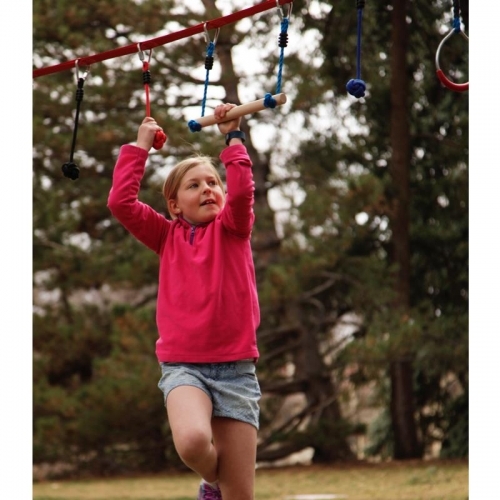 This versatile backyard outdoor hanging obstacle course kit allows the obstacles to be moved further apart as your skills improve. 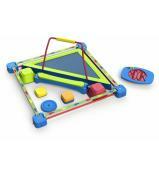 The included obstacles vary in skill level. 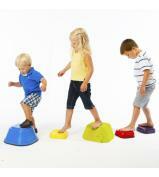 Best of all, it's easy to install and take down, meaning you can take your training with you! 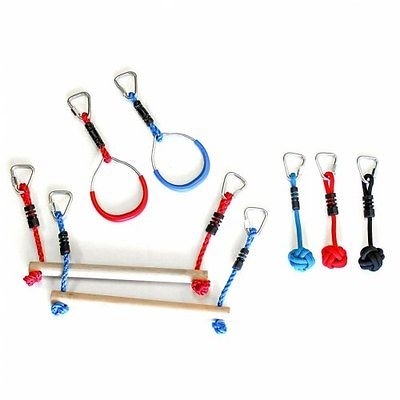 Simply loop around a tree or sturdy frame and use the ratchet to create you desired lenght and tension. 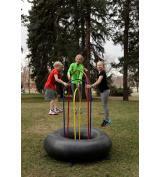 Endorsed by Brian Arnold “The Ninja.” Brian Arnold is a recognized expert in ninja warrior competition and training. As a highly successful warrior, he is the ninja that beginner warriors turn to for training tips. 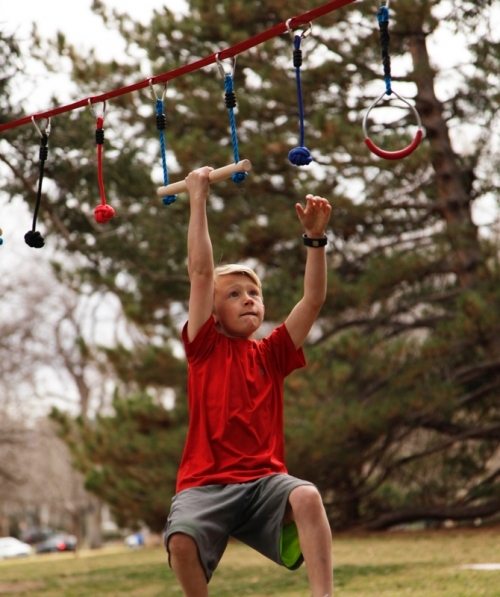 In his free time he likes to rock climb and train with Slackers™ slacklines and Ninjaline™. Product comes with full assembly instructions.